Experimental philosophy uses experimental research methods from psychology and cognitive science in order to investigate both philosophical and metaphilosophical questions. It explores philosophical questions about the nature of the psychological world - the very structure or meaning of our concepts of things, and about the nature of the non-psychological world - the things themselves. It also explores metaphilosophical questions about the nature of philosophical inquiry and its proper methodology. This book provides a detailed and provocative introduction to this innovative field, focusing on the relationship between experimental philosophy and the aims and methods of more traditional analytic philosophy. Special attention is paid to carefully examining experimental philosophy's quite different philosophical programs, their individual strengths and weaknesses, and the different kinds of contributions that they can make to our philosophical understanding. Clear and accessible throughout, it situates experimental philosophy within both a contemporary and historical context, explains its aims and methods, examines and critically evaluates its most significant claims and arguments, and engages with its critics. Joshua Alexander is assistant professor of philosophy at Siena College. He has published in a range of leading journals including Philosophy of Science and Philosophy and Phenomenological Research. "The research findings in this book are genuinely fascinating, and Alexander does an admirable job of drawing out their implications for contemporary philosophy." "A terrific overview of central debates in this new research field." "An enormously valuable volume. 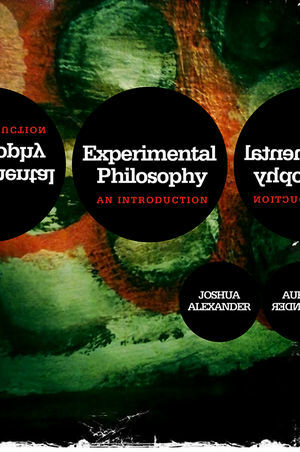 It is the first book-length treatment of experimental philosophy, and it does an excellent job of describing the state of the art and assessing the controversies that experimental philosophy has provoked." "The first of its kind; the only book that features a sustained argument for the general relevance of experimental philosophy to philosophical debates." "Experimental philosophy is only a decade old, but has already generated a lot of interesting discoveries, as well as a great deal of attention and criticism. The time is ripe for a systematic introduction to the field that summarizes these discoveries and addresses the criticisms. Joshua Alexander delivers the goods. His book provides interested students with an excellent overview of experimental philosophy, and it challenges philosophers to consider what intuitions are, what role they should play in philosophical theories, and how experimental methods can advance philosophical debates." "Experimental philosophy hosts the most exciting work in contemporary philosophy, and it attracts the most innovative philosophers. Joshua Alexander has written an outstanding introduction to this electrifying new philosophical approach. This book is a pleasure to read, a remarkable overview of the work done by experimental philosophers, and also a substantial contribution to the many philosophical issues raised by experimental philosophy. "